Today was day two on our Movement Exchange, and it was super packed! 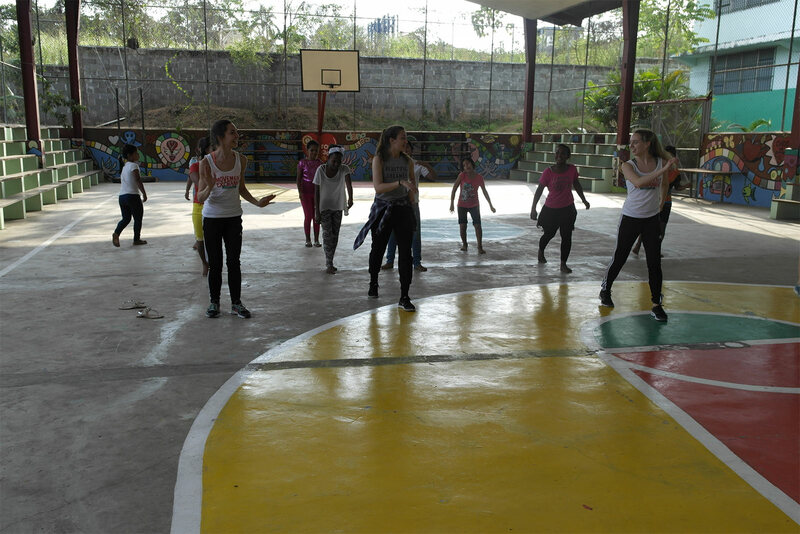 We started with an amazing contemporary class with a local Panamanian choreographer, followed by teaching a class to a group of eager university students. I could go on and on about these experiences, but I want to focus on the last part of the day, visiting Hogar San José de Malabo (an orphanage outside of Panama City). This was simultaneously one of the most rewarding, yet exhausting experiences of the trip thus far. We began by teaching the younger group of students, and had a bit of a hard time reigning them in. Between the language barrier and their age, we had quite experience. By the end, we were able to get their attention, and they really picked up the choreography we were teaching them! It was so rewarding to see them really learning something. Next, we taught the older group of girls. I was honestly drained from the previous events of the day, but these girls rejuvenated my energy. They were so respectful and eager to learn. I was shocked by how quickly they picked things up, the detailed questions they asked, and the way they kindly pointed it out when one of us messed up 😉 It was truly amazing to see how connected we could be to them simply through movement. Yes, I have decent Spanish and can communicate with them on some level, but it was really the dance that brought us all together. I am so excited to go back and continue working with these girls, they have so much potential! I’m feeling very lucky to be able to play a part in their development.